Generally the woodcarving workshops are held at Mires Beck, North Cave, with each workshop consisting of three consecutive Saturdays, 10am to 3pm (with an hour for lunch, tea and coffee provided). 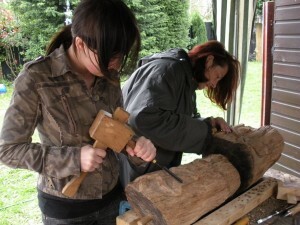 All tools are provided, as is a log for your relief carving. Prior to the course you’ll receive advice about choosing your design, and information about how to treat your finished sculpture. You’ll receive constant support and encouragement, making the learning of a new skill enjoyable and relaxing. – New dates to be announced. Please contact me if you have an interest in organising woodcarving workshops in your area. Woodcarving classes were run by local artist and woodcarver Allen Stichler , following Sharon Darley’s appeal for different activities in the Great Thornton Estate area. 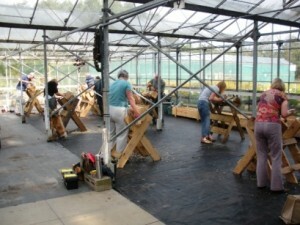 The aim was to provide an opportunity for the residents to try a traditional craft, resulting in a unique and personalised sculpture for the participants to own and enjoy ; the chisels, mallets, and logs were all supplied and ~ thanks to funding from the Goodwin Trust ~ the classes were free and held at the Octagon Family Centre and the Holy Apostles church ( who kindly let us use the hall for no fee ). Each participant chose a design which was personal or of interest to themselves, and over a number of sessions the sculptures took shape . 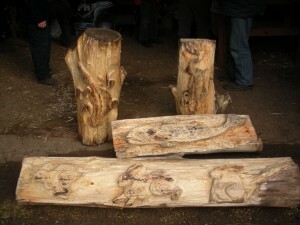 The logs used were reclaimed from a local landscape gardening company , giving the activity an element of recycling and in a way extending the lifespan of the wood as pieces of art. 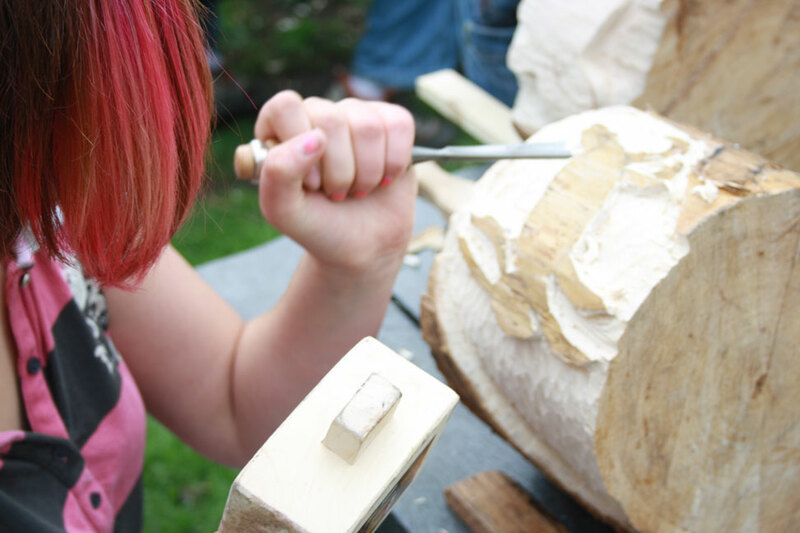 It would be fair to say that a result of the carving classes was a boost to confidence and self-esteem through learning a new skill , and a sense of pride in seeing a project through from start to finish ~ all ending with a unique sculpture!